Updating or building web app with rich user experience through AngularJs is an easy solution to implement especially if the web app is created for internal use and search engines are irrelevant. Surely, the approach provides the optimal results within the minimum time frame. What if the intended audience is public, and indexing the website is critical for the business; he solution could backfire if special attention is not paid in regard to make website crawlable. Hash Bang (#!) URLs In case your current url strategy include hash (#) based URLs, change it to Hash Bang URLs. 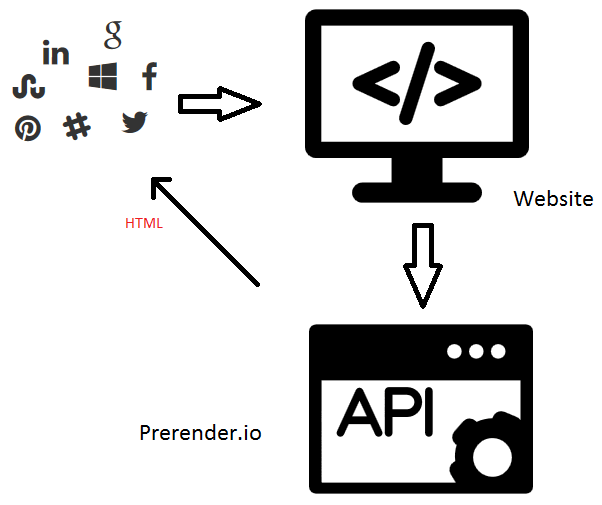 RequestHeader set X-Prerender-Token "Your Token"
Make sure the above rules are not conflicting with any other rules in your web server configuration. Prefer adding them on top of your .htaccess file. Open the URL in browser and view source. You won’t find any Meta information & HTML tags dynamically added to webpage rather AngularJs code intact. Now update the URL with _escaped_fragment_ as query string parameter like http://www.example.com?_escaped_fragment_=/about and view source. You will now see changes to Meta information & HTML tags being reflected on the webpage and are now pre-served as part of HTML itself.